What I love most about her is her creative thoughtfulness. My Aunt Suzy sent care packages to my dorm room in college themed around the given holiday or "brain food" when it was time for finals. She makes these really delicious cookie-brownie bars that I hesitated to share and always included a homemade card. I could spot her hand writing anywhere, small and long, just a bit loopy. Aunt Suzy never forgets a birthday, is the first to organize family dinners or the Christmas gift exchange. When Hugh and I got married, the venue had lounge couches that were a bit worn, to say the least, and my aunt sewed new slipcovers for them. I mean, seriously. I wouldn't have even done that for my own wedding. I can't paint a colorful enough picture of this exceptional woman. She is a leader, organized, a problem solver, assertive and goofy enough to soften those qualities out. Always the generous type, she piped in during my book writing process to be a recipe tester when I mentioned I needed more feedback. As I could have assumed, her emails to me were full of detail, responses from her family and how she visited multiple markets in search of mushroom broth. She has always made me feel loved through quality time - be it an intentionally themed care package, planning a coffee date when we haven't chatted in a while, or the support and effort she showed me when the process of writing a book overwhelmed every part of me. Now, as an aunt of two girls myself, I see more clearly every way she has cared for me and how that love has matured as I've grown up. Surely you can read through the lines how much I admire her, and how strong she is. The type who trained to climb Half Dome, in Yosemite, CA right after her second year of chemotherapy. Her cancer is back for a third time, a battle I know many others are watching a loved one fight, and I am motionless on how I can give love back to her. Every letter I start seems underwhelming, as I cannot relate to what she is going through or how defeated this must make her feel. How do I tell her I am angry and completely scared while being a voice of hope, encouragement and support? I want to be her most enthusiastic cheerleader, while still needing to kick my feet that this is not fair. I brought over soup a few weeks ago, which felt so lackluster compared to how my heart feels - a feeling I can't put my finger on let alone communicate to her. So I baked. Not to give these cookies away, but to be in a familiar process, to slow down, and let myself feel sad so I can be a niece who sits right next to her, as I'm confident to say we're both scared. 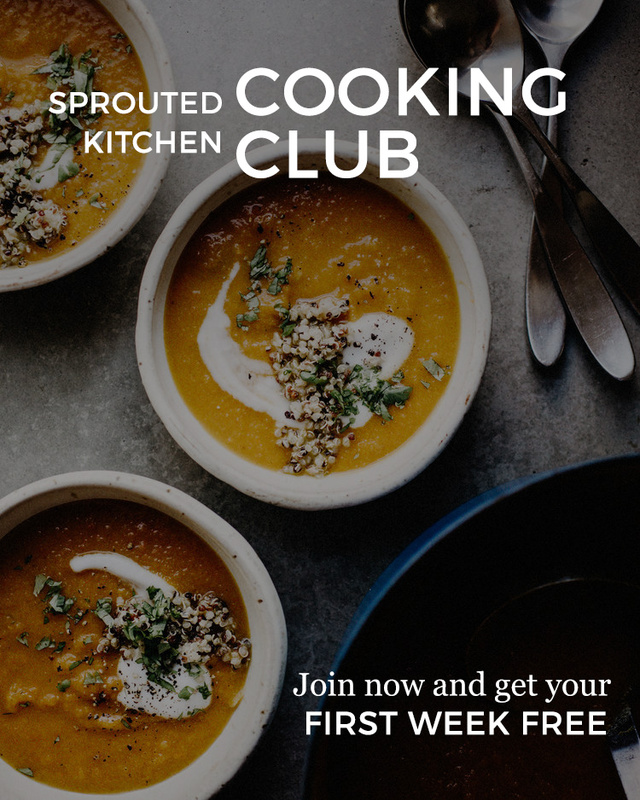 I bookmarked this recipe in the newly released Small Plates and Sweet Treats: My Family's Journey to Gluten Free Cooking by Aran Goyoaga of Cannelle et Vanille. It's truly a stunning book, beautiful and romantic in the same way that Aran's blog is. Her book takes you through the seasons featuring gluten free desserts and small meals that are full of color, creativity and fresh produce. I am excited to try her bread recipe and a few of the soups as the weather around here is getting a bit of a chill. I had the ingredients for these cookies, always a reinforcement to make something immediately, and they are just as delicious as I assumed they'd be. The book is beautifully designed and photographed, like a fairytale of gluten free foods. Congratulations to you Aran, I'm glad to have your fabulous cookie recipe in rotation around here. The book is a treasure to be proud of. I only tweaked one thing in Aran's recipe to avoid a trip to the market. She calls for 1/2 cup superfine brown rice flour and 1/4 cup tapioca starch and I substituted 3/4 cup gluten free all purpose flour (I use King Arthur, which has rice flour and tapioca starch in it). I found this substitution to work fine, though maybe a tad more delicate, but want you know what the original states. 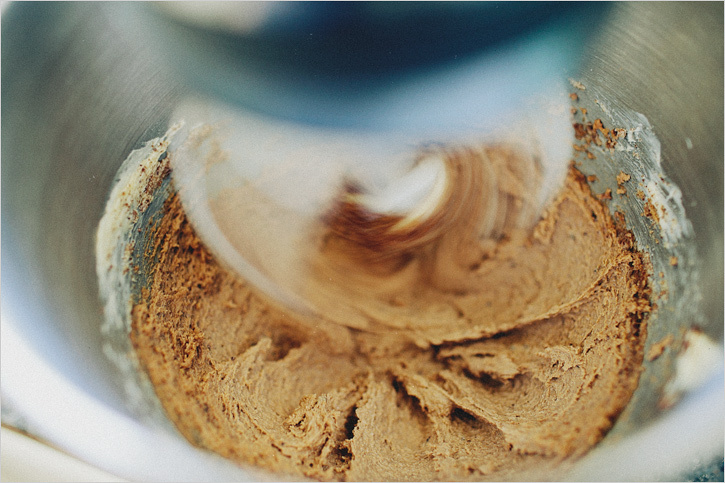 Combine the butter and both sugars in a stand mixer and mix for three minutes. Add the vanilla and egg and mix to combine, scraping the sides. Add the gluten free flour (or rice flour if using), buckwheat flour, baking powder, baking soda, salt, cinnamon and nutmeg. Mix until dough just comes together. Add the chocolate, oats, pecans and coconut. Mix until ingredients come together, dough will be sticky. 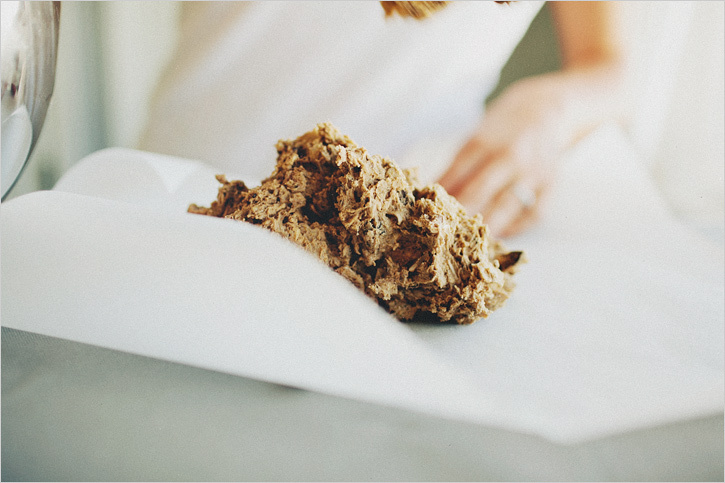 Transfer the dough to a piece of parchment and roll into a tight log 16'' long and about 2'' in diameter. Refrigerate for one hour. Preheat the oven to 350'. Cut the cookie dough log into 1/2'' thick disks. Place the cookies on a parchment lined cookie sheet, spaced 2'' apart. Bake the cookies for 8-10 minutes, you want them to look slightly underbaked. They get very crispy if overcooked, air on the side of undercooking. The raw dough or baked cookies keep for 5 days.